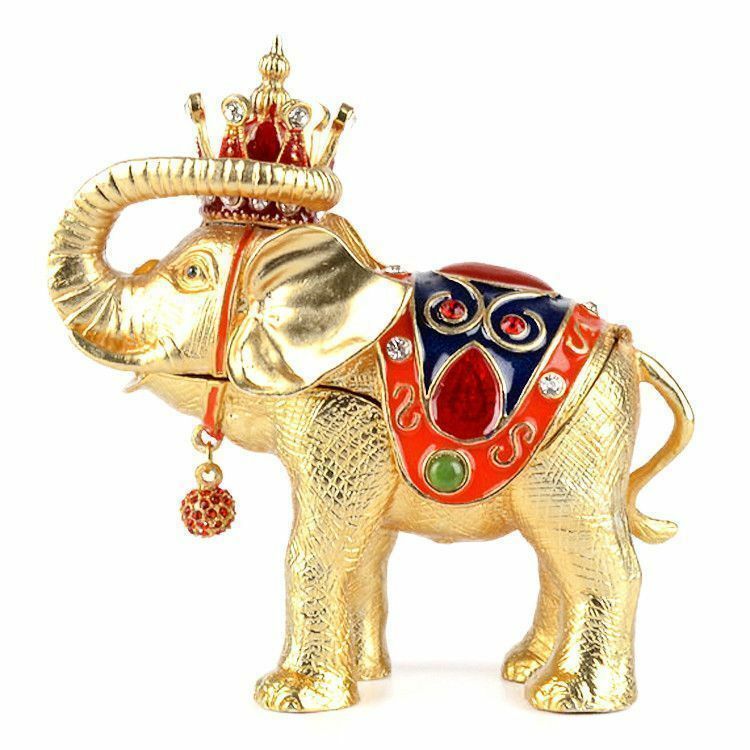 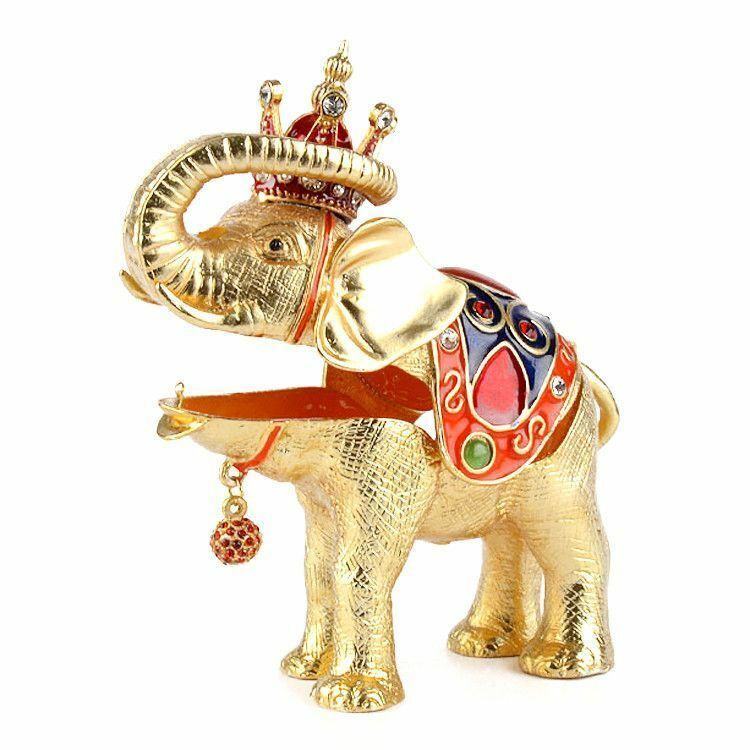 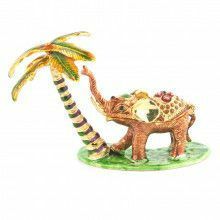 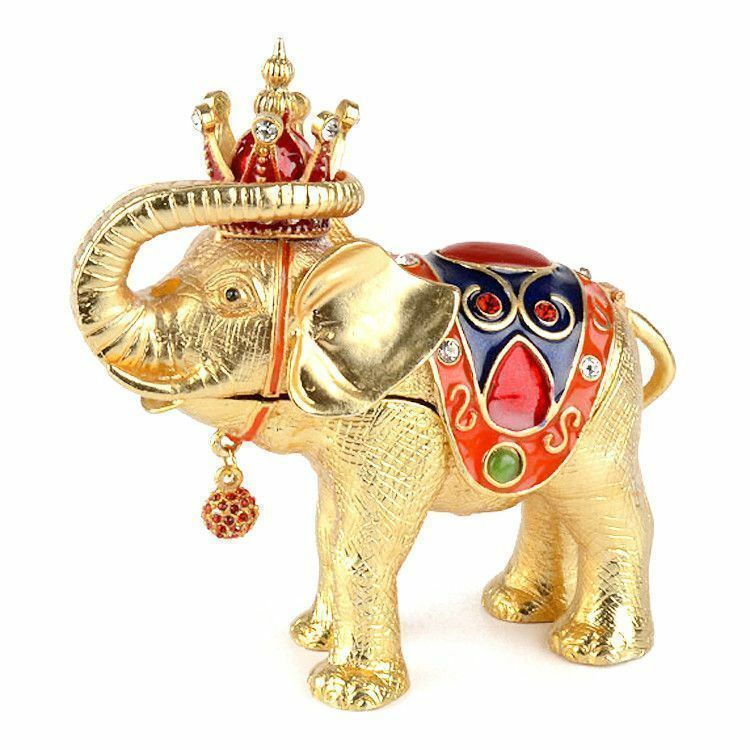 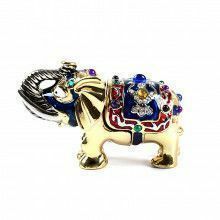 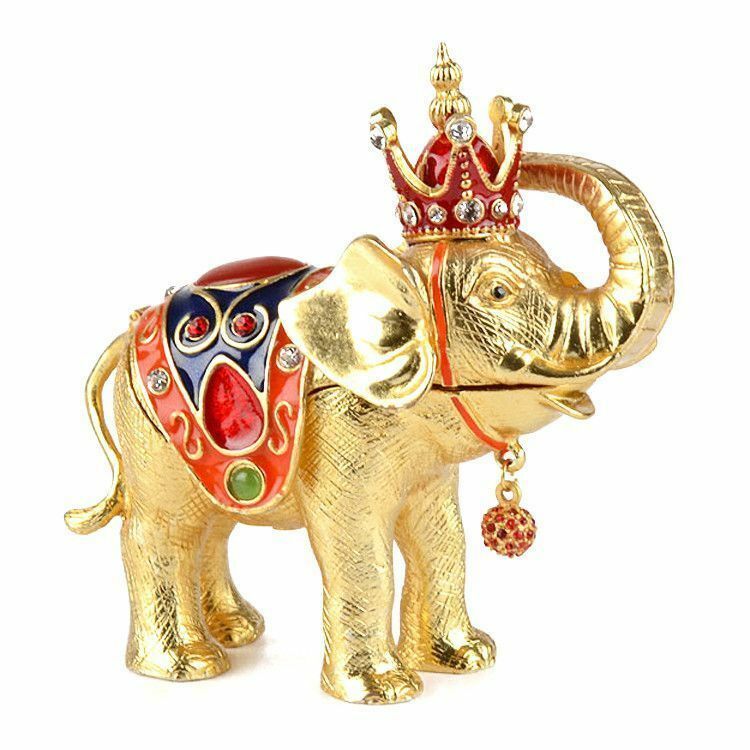 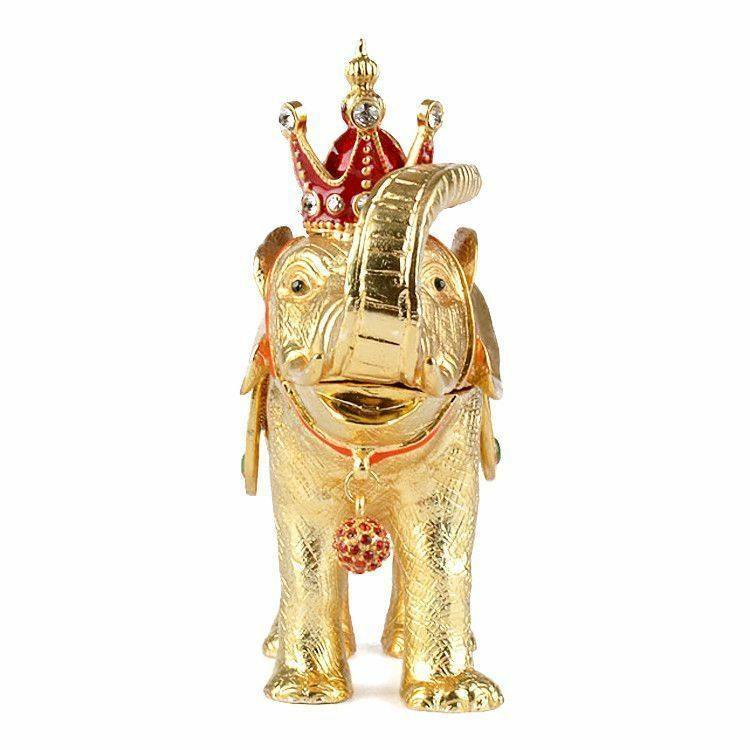 This golden elephant king is not only a wonderful display for the home or office, but it is also a box for holding small items in. 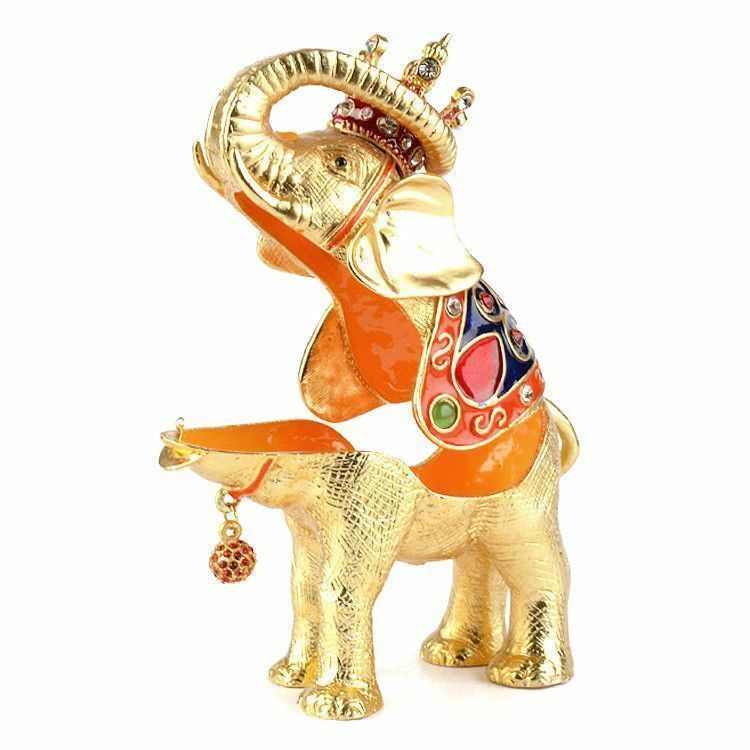 This elephant opens with a hinge and closes with a clasp. 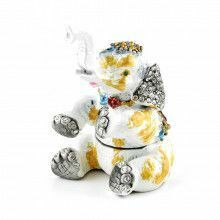 This pewter based trinket was hand-enameled with red and blue color, then decorated with sparkling crystals. 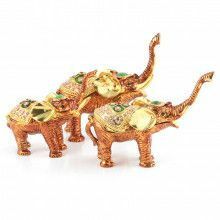 Elephants with their trunks in the air are thought to bring good luck, making this a unique and fun "good luck gift" idea.